It is not unusual for several myths to be busted in the course of a project. One of my favourite examples of a myth is a film to promote handwashing with soap in rural India. It had this hand, signifying the hand of any villager, going through a normal day performing routine activities such as picking cow dung, working in the field and washing a child’s bottom. Watching that film, most urbanites would recoil in disgust, but for people in rural India, it didn’t evoke any feeling of disgust. Not surprising, since this was their life and they saw nothing wrong with the picture. When a bunch of people who have grown up in cities try to design a campaign for rural audiences, it is a fertile ground for myths. The toilet campaign sure had its share of strange myths. In the initial days of the project, as we interacted with experts, officials and campaigners on the ground many myths were thrown at us about the nature of the problem and the solution. Research of course, helps one walk this road from myth to reality. 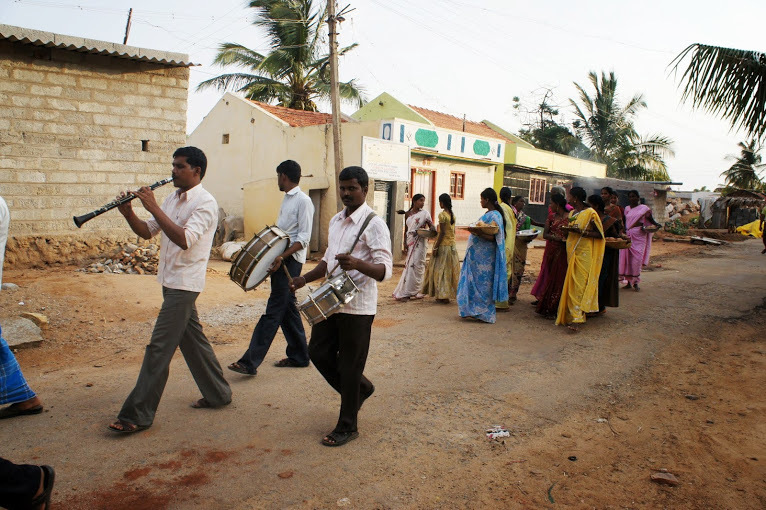 As we stayed and interacted with villagers in Davangere district, Karnataka over the 2-3 months of our research for this project, many of these myths were busted. In this series of blogs, I share a few of them. However, in the first few days of our stay in the village, this logic began to crumble. There were in fact many people in the village who wanted to construct a toilet. 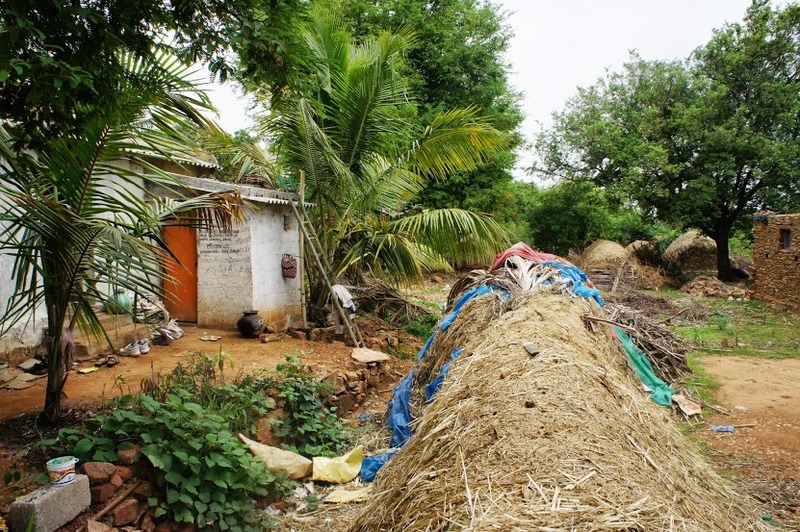 However, they were facing a few roadblocks in accessing the government scheme (the Nirmal Bharat Abhiyan) – awareness of the scheme was low, their eligibility for the scheme was unclear and there were many who had constructed pits/toilets without receiving their incentive for months, not to mention the fact that they had to often bribe (about Rs. 1000-1500) to get the incentive. This made the enterprise uncertain for most, except for those with good connections in the Gram Panchayat (GP). This risk is amplified by the financial situation of the beneficiaries of such a scheme. At an average annual income of around 40,000 to 50,000 rupees, to keep aside Rs. 10,000 for toilet construction is a high-risk decision. One has to make difficult choices, like choosing between a health issue or a religious festival and a toilet. With the uncertainty over the workings of the government scheme, even those who feel the need for toilets end up postponing it till they can risk it or build it with their own money. In this climate, to launch a communication campaign promoting the government scheme could have been disastrous. As the saying goes, ‘Good advertising makes a bad product fail faster’. Therefore the campaign objective was redefined mid-way. Objective 1: To reduce the barriers – reinvent the scheme to make it effective and build credibility for it. We worked closely with the government to quickly clear backlogs of subsidy payments, simplify the scheme and create communication around a central promise directly from the district CEO to the people. Objective 2: To amplify the motivators – move toilet up the ladder of importance. For a significant majority who have not yet actively felt the need for toilets, it is important to move the toilet up the ladder of importance so that a latent motivation becomes an urgent one. Therefore, a separate campaign messaging was created around a central, powerful motivation for constructing toilets. A myth like ‘people don’t want toilets’ is not formed in a day. It is based on the experience of people who have tried to promote toilets over the decades and have met with a wall of resistance. However, the problem with such myths is that it can stop one from seeing the present for what it is – the many changes in the village environment that has triggered a need for household toilets. As you can see, busting a simple myth like that can dramatically alter the objective of the campaign itself and impact results significantly. What were the other myths? More in the next blog.